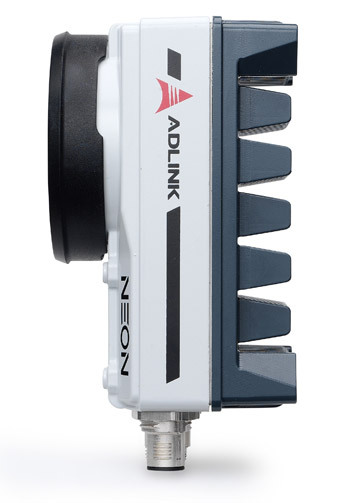 ADLINK's new generation x86 NEON-1021 features Intel® Atom™? 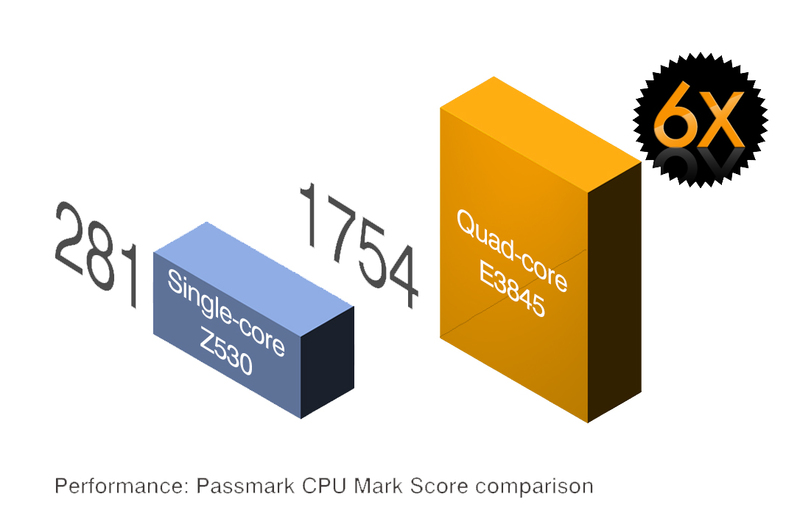 quad core 1.91 GHz processors for increased computing power, and FPGA coprocessors and GPU deliver advanced image processing, both beyond the capabilities of conventional smart cameras. Rich software support and API compatibility enable easy migration from original x86 platforms, eliminating software and development language burdens across the platform, reducing time to market. 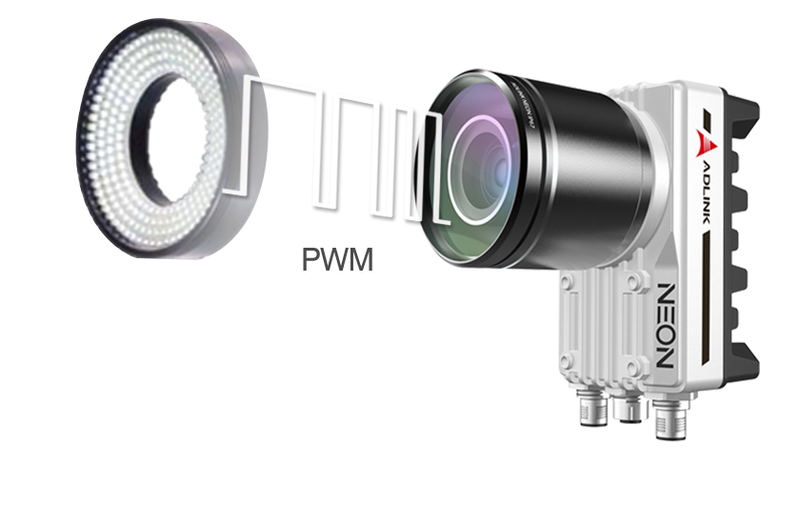 The NEON-1021 feature 2MP global shutter image sensors, and PWM lighting control support. Rugged construction with IP67-rated housing and M12 connectors enables the NEON-1021 to withstand the harshest industrial environments. 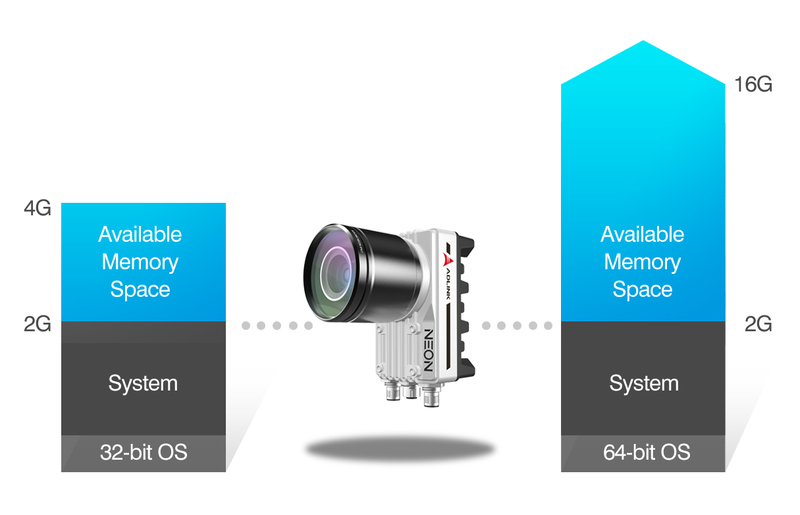 Optimized I/O includes one additional slave GigE Vision camera connection, 4x isolated input, 4x isolated output, and VGA output for maximized integration with external devices. 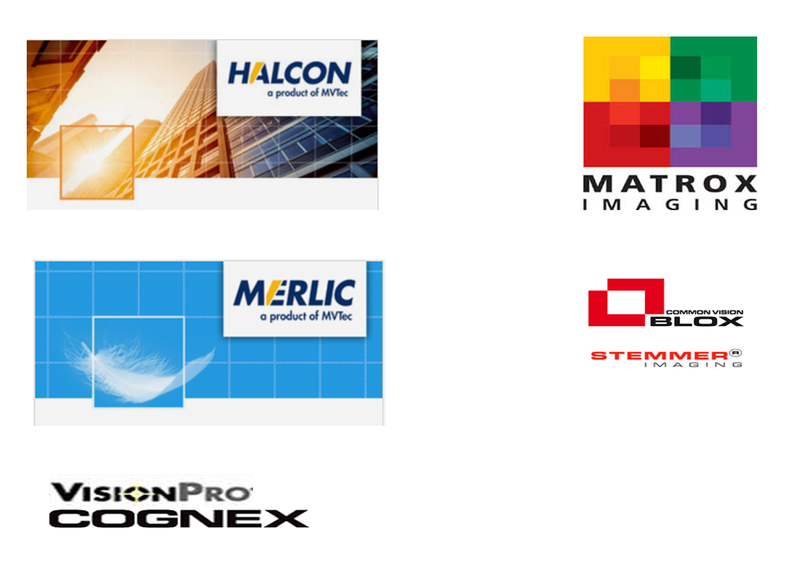 Additionally, flexible software development support, including GenTL support for image acquisition and Open CV programming, significantly benefits developers by easing migration from x86 platforms. 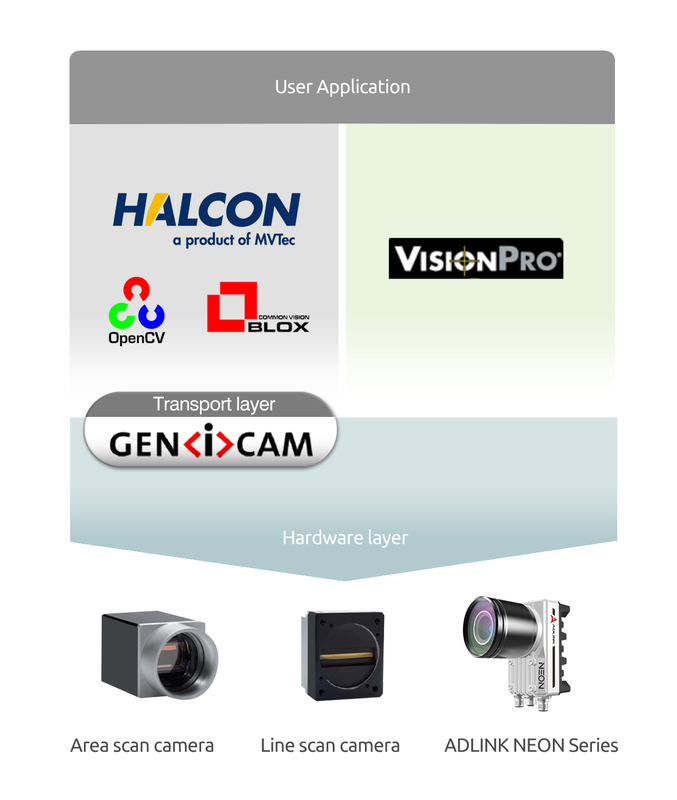 NEON-1021 Smart Camera deliver superior image quality with leading industrial camera vendors. 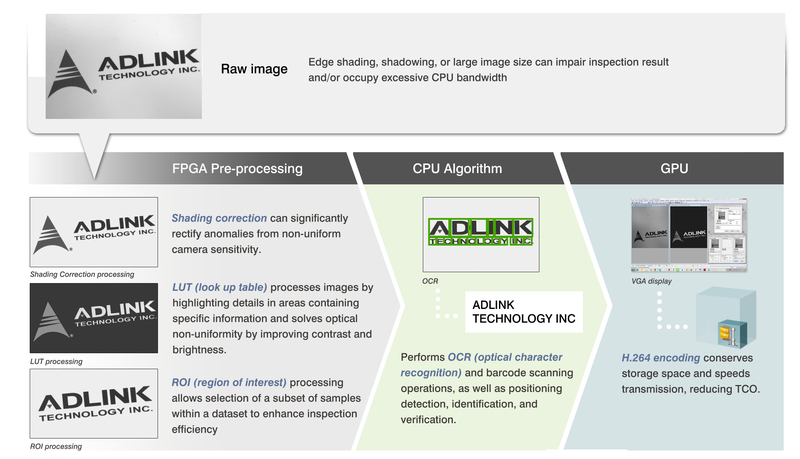 All measurements done by ADLINK fully compliance with the European Machine Vision Association "EMVA 1288" standard. 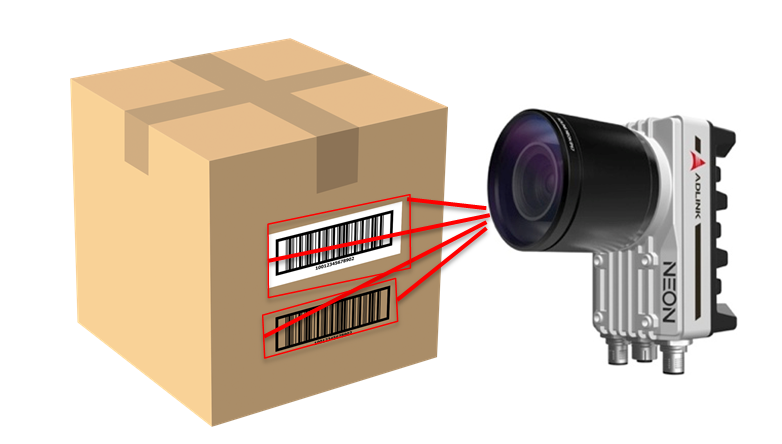 High-speed multi-barcode capture shortens image processing cycle time. 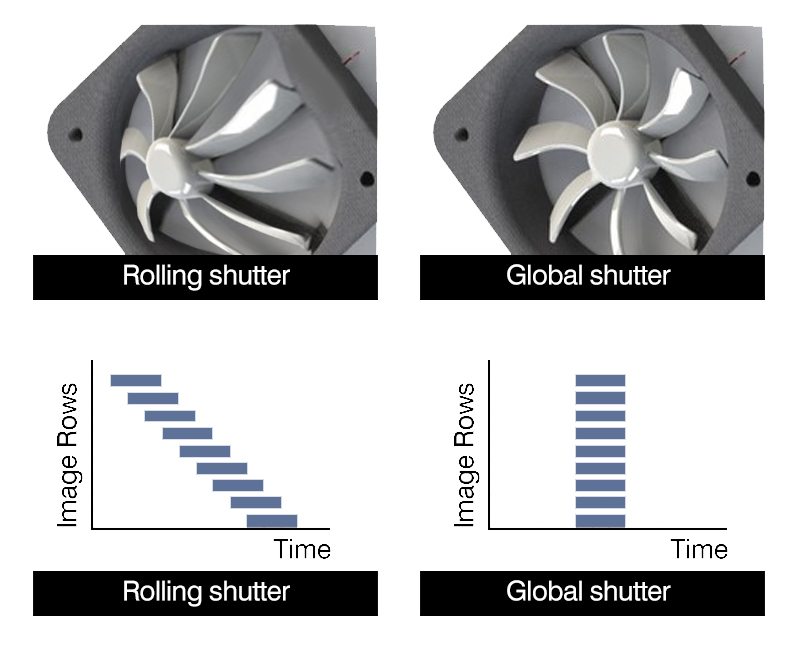 The 2 MP 60 fps 1/1.8"-inch global shutter sensor improves on rolling shutter sensors with improved raw image clarity, for high speed inspection precision. 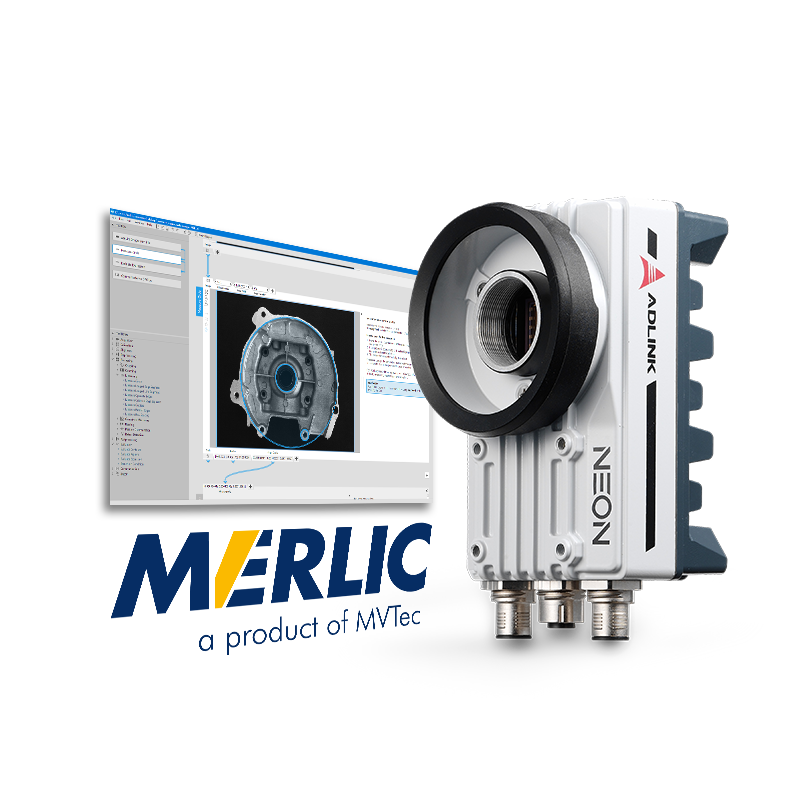 The NEON-1021" s FPGA accelerates image pre-processing and reduces CPU loading, making it ideal for complex acquisitions like those in LUT (look up table), ROI (region of interest), and shading correction. Thanks for FPGA, the CPU resource can focus on algorithm and make inspection tasking more efficiency. The NEON-1021" s built-in PWM lighting control module eliminates the need for additional lighting controller equipment, reducing TCO. 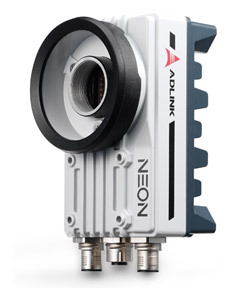 With built-in GigE port, the NEON-1021 can connect to multiple cameras via external hub. 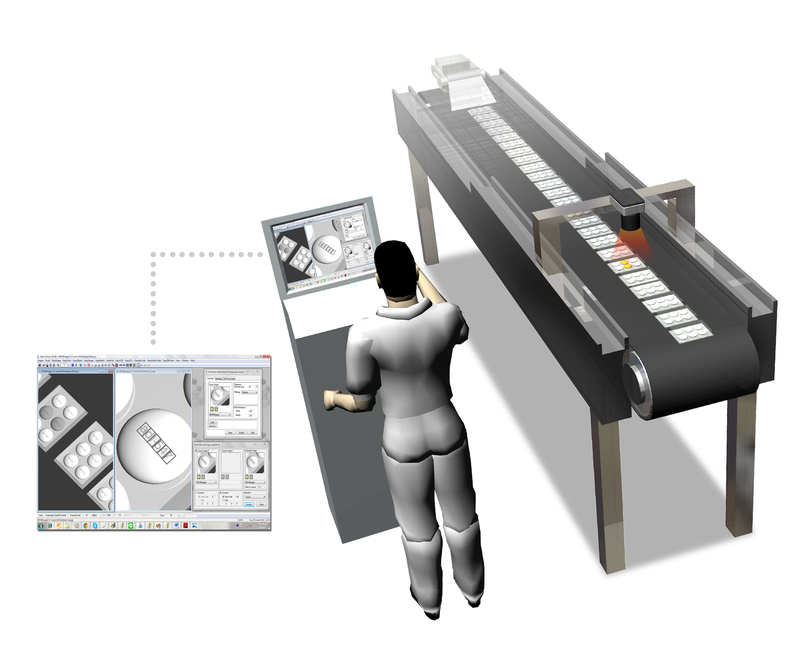 As well, existing CODESYS users can easily and quickly connect to other motion controllers via EtherCAT. 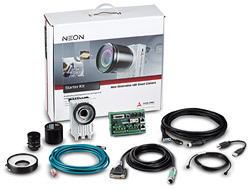 NEON-1021 provides 4x isolated inputs, 4x isolated outputs, USB 2.0 port, and RS-232 ports, supporting connection to a monitor, USB mouse and keyboard, enabling program and application development directly in smart camera. 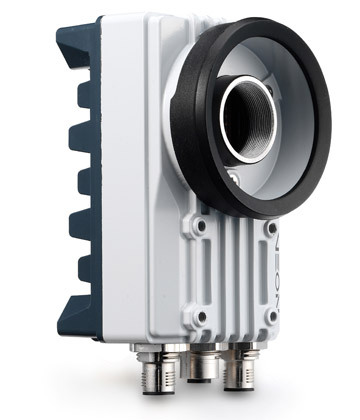 Rugged construction with IP67-rated housing and M12 connectors allow the NEON-1021 to operate in harsh environments, impervious to moisture and contaminants. The NEON-1021 features a 2 MP 60 fps, 1/1.8"-inch global shutter sensor, ideal for precise high-speed moving object inspection, ideal for verification of pill or tablet quality, blister pack contents, and label information and/or bar codes. 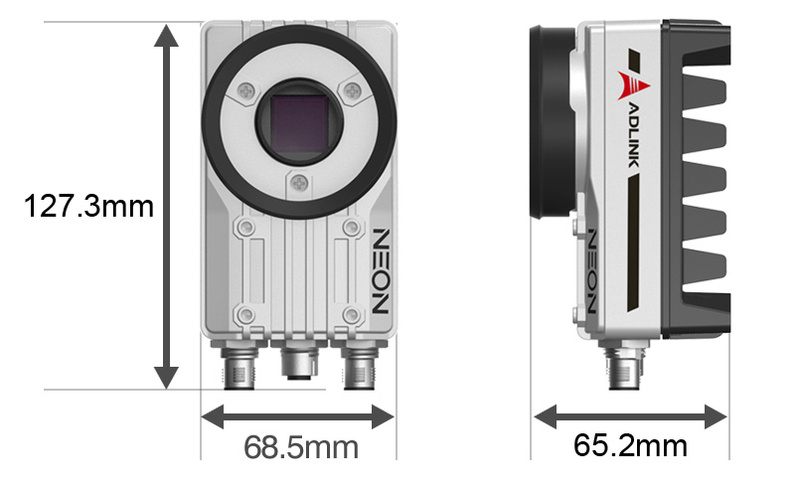 With IP67- rated housing and M12 connectors, the NEON-1021 resists harsh environments, withstanding damage from moisture and contaminants. 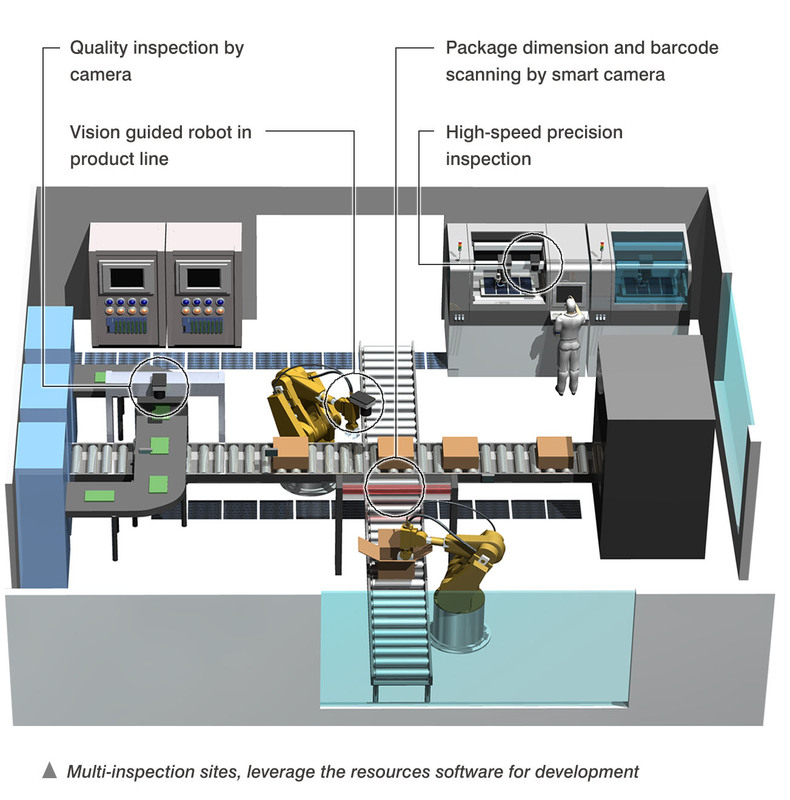 With powerful quad core computing and FPGA image pre-processing, the NEON-1021 can process multiple complex inspection tasks simultaneoulsy, and its open architecture x86 based application ready platform simplifies programming of customized inspection applications and use of existing x86 software without requiring new coding language expertise.